This past month has been filled with new challenges, familiar faces, new faces becoming familiar faces, self-discovery, good food, and some unforgettable experiences. Now that I’m almost two months into my time in Chicago (When did that happen?!) I feel like I’ve really established a firm foothold in the city. I know where I like to eat and get coffee while still leaving space to trudge further into all of Chicago’s vibrant food and drink offerings. I understand how to navigate the 77 Chicago neighborhoods and I’ve discovered the places that can serve as a refuge and transport me to different worlds. I’ve made the trek to Garfield Conservatory a couple of times now, because there’s something so serene and unique about that little slice of botanical bliss just steps from the Green Line. It’s a great place to go when you miss the vastness of nature in the Windy City or when you need a space to rejuvenate or get inspired! I take great pleasure in learning new things (#LifelongLearner), so I’ve also taken advantage of the free museum days! The Field Museum requires multiple visits to 1) actually go through all of the exhibits and 2) Appreciate the massive collection of artifacts, observations, displays, and knowledge placed thoughtfully throughout the museum. I also advocate for going with a friend because you never know what you can learn from each other! When I visited Shedd Aquarium, I instantly felt the same excitement and fascination that coursed through me when I visited as a kid. The aquarium strives to provide guests with an interactive, insightful, and all-around fun experience. Shedd Aquarium is a wonderful oasis to discover something new and beautiful or bask in nostalgia. Finally, my internship experience has consisted of lots of learning opportunities, Chipotle Fridays, and subtle reminders to always keep the bigger picture in perspective. Through my various tasks and duties as a Marketing intern at The Magnificent Mile Association, I’ve improved my short-form written communication, adapted to the innerworkings of our cozy office, improved my verbal and interpersonal communication abilities, and learned how to navigate the world and lingo of Associations! The importance of curiosity has been reiterated time and time again throughout these past few weeks. I’ve always believed that you can never ask too many questions! 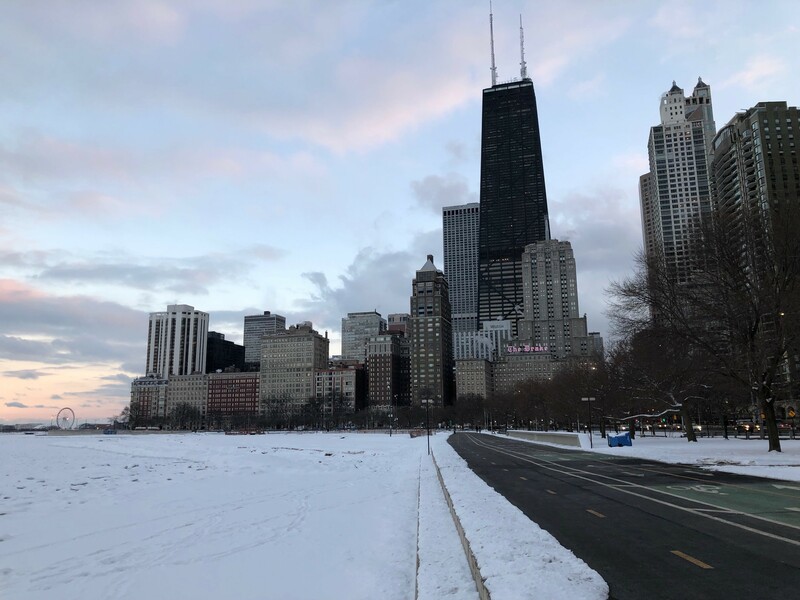 Questions are how we make sense of the world, and Chicago Semester internships are the perfect way to explore introspectively and professionally.